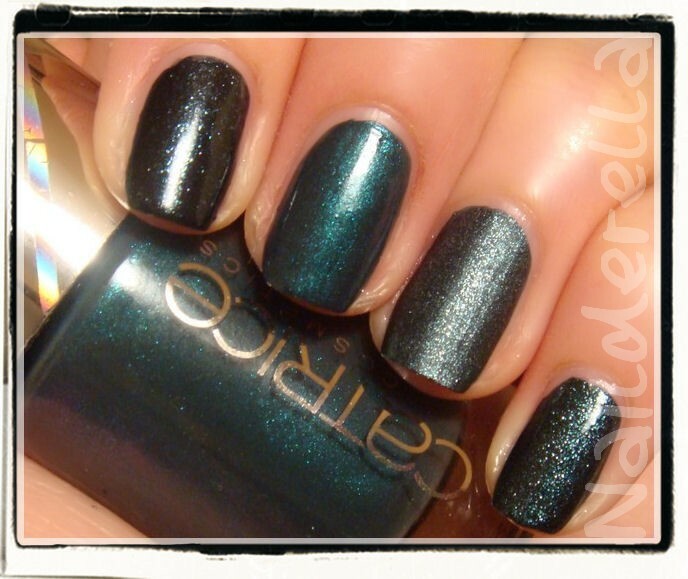 I wanna fly into the space today and Catrice "Out of Space collection" is just too perfect for that. a dark green with a semi matte finish (Suede finish), Beam Me Scotty! 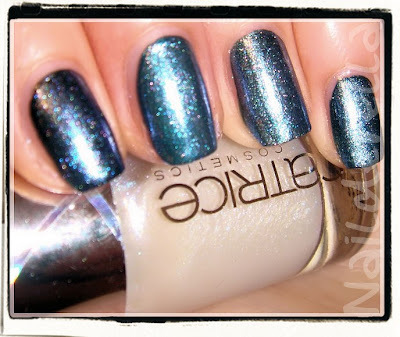 and the 4th polish, My Milkyway, is a "colour changing top coat" according to Catrice. I think it's better to add only one really thin coat of My Milkyway otherwise your nails would look too white and the underneath color would be lost under My Milkyway. On the contrary, a thin coat will give some sparkles (blue, white, silver and pink) to your nails but you will still be able to see the polish you have underneath. Houston’s Favorite, 2 coats, without top coat, with flash. Houston’s Favorite, 2 coats, without top coat, without flash. 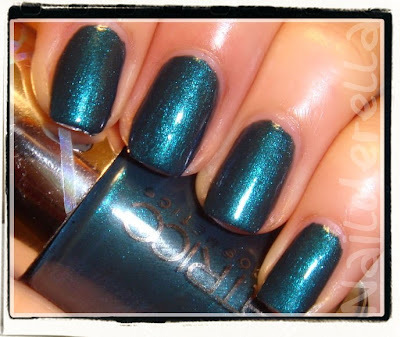 Houston’s Favorite, is a very shimmery teal-green polish. It reminds me of a peacock. Application was excellent and very easy, it's already opaque in 1 coat but I did 2 to even it out. It also works for stamping. As you can see on the above pictures, My Milkyway add some shimmer and sparkle to the polish. 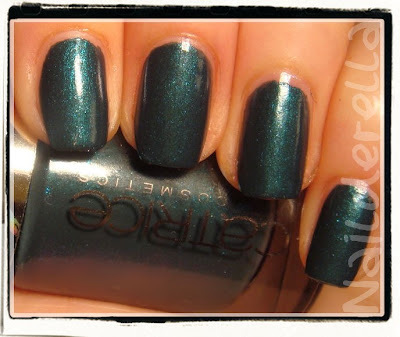 Moonlight Express is a very dark green with some pretty shimmer in it. Application was also excellent. It was also opaque in 1 coat but I used 2 to even it out. I added a closeup view of Moonlight Express so that you can see the green in this dark shade better. You can also see it's a shimmery polish. 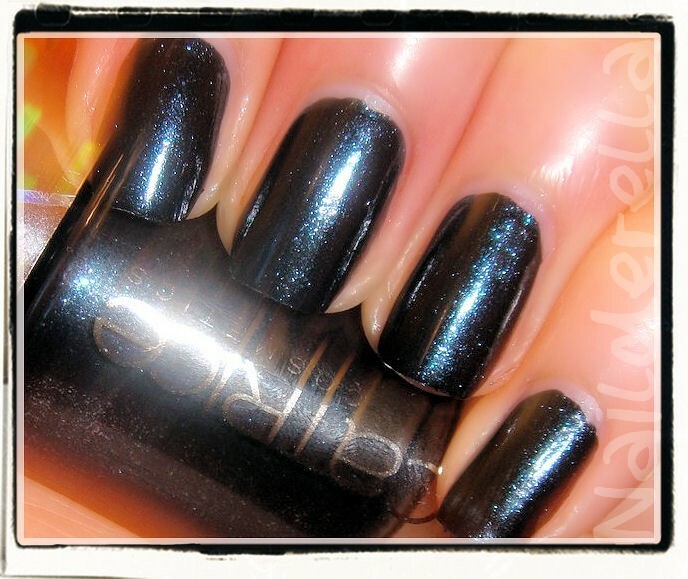 Very pretty dark polish. I've already reviewed Beam Me Scotty! here. 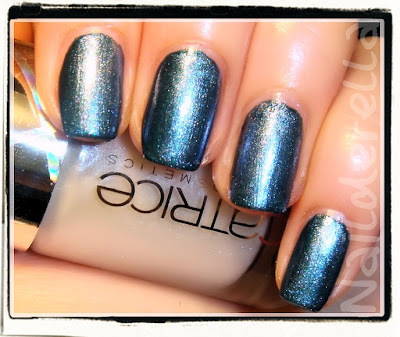 So please, click on the link for a full review of this polish. Final verdict: I think Catrice did a very good job with this collection. It's original and very interesting. 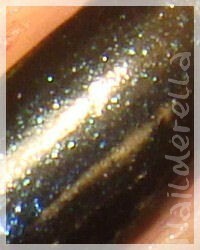 The shades are really pretty, they are dark but with a lot of shimmer which prevents them from being boring. They represents the mysterious space very well. I was really surprised with Beam Me Scotty! because the semi matte finish is just gorgeous. This was a very nice surprise. I don't wear black polishes often but Moonlight Express sets itself apart because it's really glossy and sparkly. Houston's Favorite is as a very nice peacock colored polish. Finally, My Milkyway is much better than I tought it would. 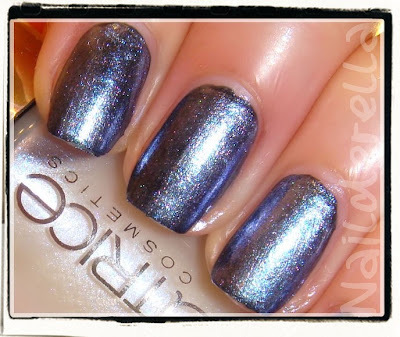 When I looked at the bottle, I thought it would be too opaque but when applied in thin coats, it gives extra shimmer to the underneath polish and thus creates a nice galaxy mani. Application was really good for all the polishes of this collection and they were nicely opaque. Which one is your favorite? Do you like wearing dark polishes? You can click on the photos to enlarge them. Great swatches! I'm not sure if I'm going to try and track these down via swap or not; I like them, especially the green, but feel like I already have similar things in my stash. They are all gorgeous but I like Houston's Favorite the best . Houston's fave with Milky Way is mindblowing! I love your nails! I need to get this collection, it's gorgeous! Love these! Gorgeous! I want them all! Houston's Favourite looks awesome on you! I love it! Love it! I have 3 Catrices so far, can't wait until I get more! Thank you! I also like this collection. As I don't wear dark colors a lot, they are quite unique to me! Thank you!! Yeah, I can understand what you mean! ;D but for me, they are quite unique as I don't have a lot of darker shades. 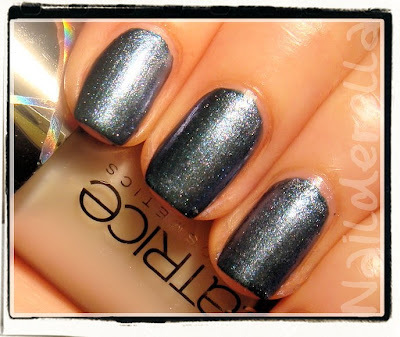 @Cris at Let them have Polish! Thank you so much for your sweet comment!! Yay! 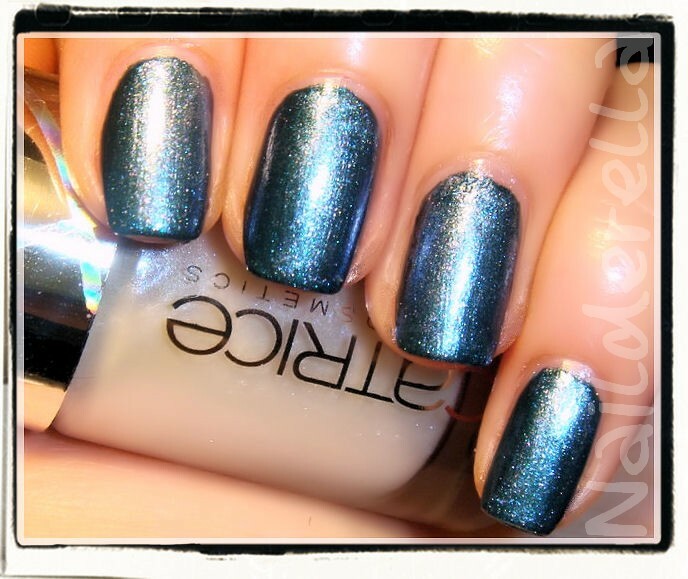 This polish was made for you! Thank you! Houston's favorite seems to be really popular! Thanks, Jeanie! I can't wait to see your swatches if you get more of them!